Former BioWare General Manager, Aaryn Flynn, has told Game Informer that it felt “surreal” and “tough” watching Anthem‘s troubled launch and mediocre reception. Flynn, who left BioWare in 2017 and was replaced by Casey Hudson, was overseeing Anthem prior to his departure. Flynn is now serving Improbable Worlds Limited, a technology company that develops tools and software for video games and general corporate use. He’s currently overseeing the development of a new RPG that is being produced by a team that comprises of former BioWare, Ubisoft, and Capcom developers among others. 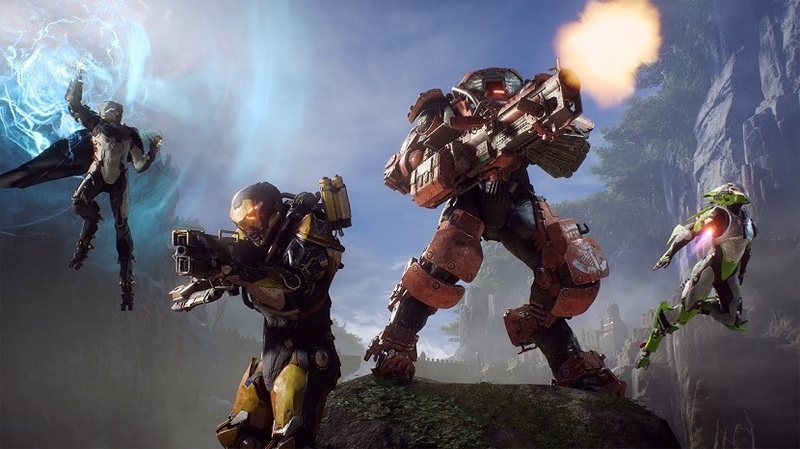 Current GM Casey Hudson has previously acknowledged that there’s still much work to be done on Anthem, and has promised players that BioWare is committed to improving the game. Last week, a damning report by Kotaku left the studio reeling and struggling to respond. According to journalist Jason Schreier, sources at BioWare revealed that Anthem didn’t begin production until the final 18 months before release – a claim that’s hard to dismiss considering the state in which the game launched. The report further shed light on the devastating working conditions at BioWare, and their impact on not only Anthem but also Mass Effect Andromeda. In response to Kotaku’s report, BioWare accused Kotaku of targeting certain developers and tearing their efforts down. However, the move backfired as many felt that the studio’s response was dismissive and it showed no commitment to improve things. Former BioWare developers separately corroborated Kotaku’s report, and added that BioWare’s games have suffered as a result of management practices that many developers in the industry suffer from.